We offer an experienced Accredited Personal Injury Specialist in the area of Asbestos related injuries. Our firm has an impeccable record of assisting clients suffering asbestos related injuries through the entire process of claiming compensation. You will have the one lawyer offering you personalised service at your side all the way through to your proper compensation. The first interview is free and without obligation. And with our NO WIN, NO FEE philosophy, you won’t have to pay our legal costs unless we win your claim at the end. Arnold Dallas McPherson Lawyers are experts in obtaining compensation for clients suffering asbestos related illnesses like mesothelioma, asbestosis and lung cancer. We ensure that claims are finalised as soon as possible to reduce any anxiety that can come from pursuing claims for compensation. We are experts in streamlining claims for compensation through the legal process. With our vast experience in asbestos related illness claims we are able to pursue manufacturers of asbestos products and old employers (even if employment ceased many years ago and the company has now closed) for compensation. A personalised service, with an experienced Asbestos lawyer handling your claim from beginning to end. We will come visit you wherever is convenient. Free, no obligation, advice about your circumstances. No Win, No Fee, so you can feel comfortable about pursuing a claim. It is common that claims for asbestos related injury can take about 3-4 months from the date of first consultation to settlement. Who pays compensation for asbestos injuries? 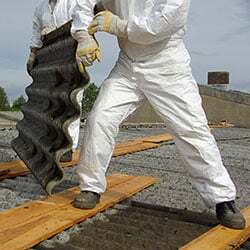 We are experts in pursuing old employers who may have exposed someone many years ago to asbestos products. We have considerable experience in tracking down relevant insurance companies that are liable to pay compensation for employers, even where an employer has been out of business for many years. A number of asbestos manufacturers are also regularly pursued for compensation, due to the knowledge they had of the dangerous products they produced.